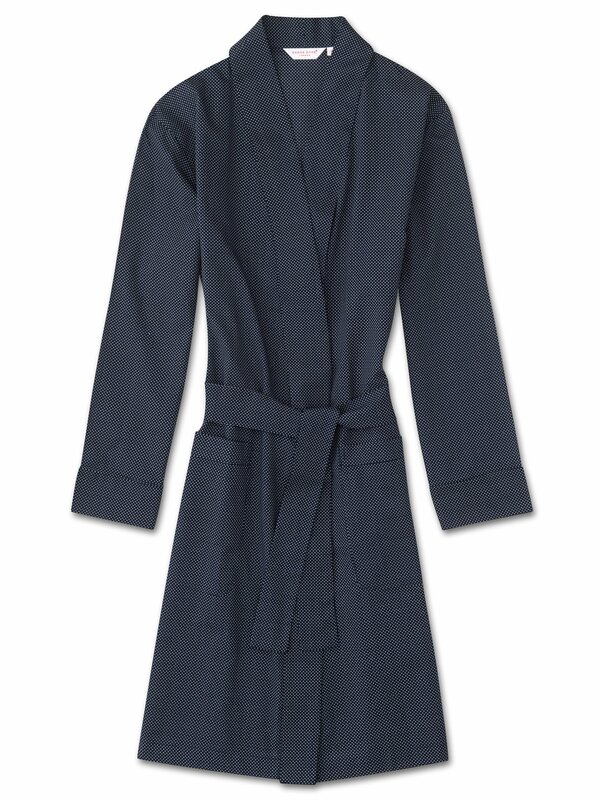 Crafted from luxury, lightweight pure cotton batiste fabric, our women's knee-length dressing gown takes styling cues from a modern kimono. The classic navy and white polka design has simple and practical details like a self-fabric collar, cuffs and waist-tie and two front pockets, making it an excellent way to stay stylish at the breakfast table on a cold morning. Whether you wear it over traditional pyjamas or a T-shirt and sleep shorts, you're sure to look elegant and feel comfortable while lounging in your Derek Rose gown.